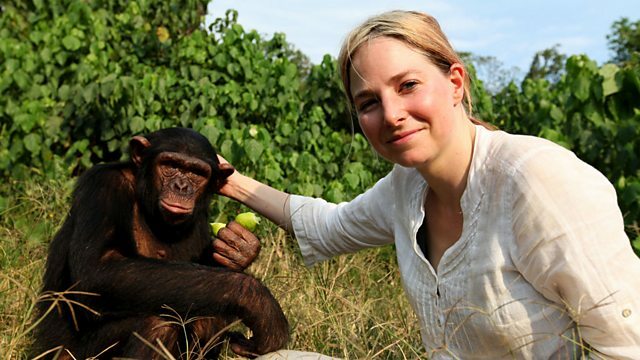 BBC HD was showing Dr Alice Roberts' documentary Origins of Us (BBC Nature 2011). This was episode 3/3 filmed in the East African Rift Valley and with emphasis on the evolution of brain capacity and volume from 400 cm3 some seven million years ago to our own average 1,400 cm3. This very interesting documentary so charmingly presented by Roberts contained many other intriguing aspects about the origins of humanity and why we are then only human species surviving. I was particularly grateful of seeing in the BBC documentary the Gibraltar cave considered the last known site of the now extinct Neanderthal man and dated some 22.000 years ago. Somewhat disturbed by her explanation of the evolution of the agile human hand in The Incredible Human Journey (2009-10) I was waiting for similar lines of argumentation. Something like this (which she did not say) "the human eye is unique among all animals in that also the white of the eyeball is visible giving the look clear directions. Humans evolved this physical characteristic in order to be able to convey messages just through the movement of eyes." But no such nonsense this time! No evolutionary magic sand was thrown to the eyes of the viewers. Instead of the usual hammer of evolutionism "natural selection is key to everything" she presented iteresting and challenging facts inviting us all to learn more about our earliest origins. The third part of the Origins of Us documentary was a factual introduction to significant traits in humans that may have contributed to our survival and eventually to our colonization of the entire Earth and the subjugation of all other living things to our rule. According to the command given by the God of Israel (religious point which Dr Alice Roberts also did not mention in the documentary about humanity). This is what God claims - that He alone has made humans, made us man and woman and made us capable of fulfilling his command. Science studies nature and reveals to the believing eye what and how God did what He said.